Why the perfect capture shot, is the question I ask myself quite a lot when flicking throw Facebook, there is a distinct lack of night shots and I know that technology has moved on with slings and sack, however, there is no way off stopping the stress placed on the fish. it has just be captured and taken out the water weight and then put in a retaining sling for 8 hrs.+, all because there is a demanded to have the perfect shot, which in my book is just not an expectable why to treat fish and it amazes me that anglers are happy to do this, when they treasure the quay so much and get upset when they get eaten by otters or and angler mistreats the fish. hypercritical I would say if you are in the list of anglers that keep the fish in a sling/sack for more than 10/15 minutes, which is all that is needed for you to set up the camera kit, which is what I have been doing for more than 35 years for carp fishing. we are in a battle to outwit the carp and landed them and that the job is done. it does not matter that you did not get a photo or it was poor quality and not in the perfect spot. you have captured your quarry and one the battle, now put the fish back and reduce the stressed caused. I have seen anglers taken the photos in the morning after the fish has been in the net most off the night and then place the fish back in the retainer and then sit in there brolly’s checking if the photos are perfect and if not, they keep repeating this process until they get it spot on. and then would why the fish, goes belly up a couple of weeks later. 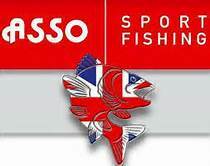 I believe this is partly driven by the industries demand on perfect shots, which is a bit narrow-minded in itself as most are anglers and by the modern day angler that is hooked on Facebook and the need to also outdo there fellow anglers with the best shot and the most likes. I come from there era of secret squirrel and you never really knew how had caught what other over the grapevine, I have embraced Facebook, as it nice to see how well other anglers are getting on, as it a battle between the angler and the fish and not a battle between us all, unless you are match fishing. The barbel anglers fully understand this and do there upmost to look after the quarry, why can’t the carp anglers, with the advice of camera technology and remote systems, the perfect shot can be taken at night, the more angler that start doing this and showing the rest that fish safety must come first the better. how do we know how much stress build up in a fish over time, just look at human beings there is a great deal of people having to take tables for stress which has built up over time and this must be the same for all living things, I have done a page on my website about Carp Safety Photographing Fish which is the way I have been doing this for many years and with camera technology moving on thinks can only get better. Just remember the next time you see a photo of your target fish, how much stress was placed on it at the time and will it be around for you to catch it in the future, look after the fish and they will be around forever. Be lucky in your quest for the monster fish.